Dr. Murray provided a critical perspective to Gettysburg historiography by offering an in-depth exploration of the national military park and how the Gettysburg battlefield has evolved since the National Park Service acquired the site in August 1933. Haphazard landscape practices, promotion of tourism, encouragement of recreational pursuits, ill-defined policies of preserving cultural resources, and the inevitable turnover of administrators guided by very different preservation values regularly influenced the direction of the park and the presentation of the Civil War’s popular memory. Dr. Jennifer M. Murray is an Assistant Professor of History at the University of Virginia’s College at Wise. She teaches a wide variety of course in 19th and 20th century American history. Murray’s most recent publication is On A Great Battlefield: The Making, Management, and Memory of Gettysburg National Military Park, 1933-2013, published by the University of Tennessee Press in 2014. Murray is also the author of The Civil War Begins, published by the U.S. Army’s Center of Military History in 2012. Murray is currently working on a biography of George Gordon Meade, tentatively titled Meade at War. In addition, Murray worked as a seasonal interpretive park ranger at Gettysburg National Military Park for nine summers (2002-2010). 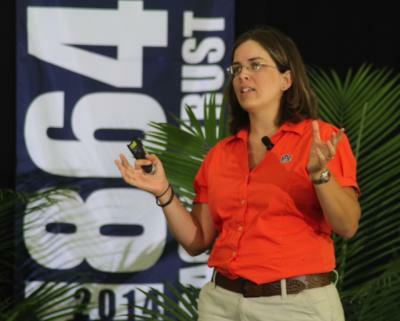 She received her Ph.D. from Auburn University in 2010. This entry was posted in Meeting archive on April 1, 2017 by hlj.